Sharon Cuneta and Sen. Kiko Pangilinan’s son Miguel celebrated his 7th birthday last October 29 at their home in Muntinlupa. 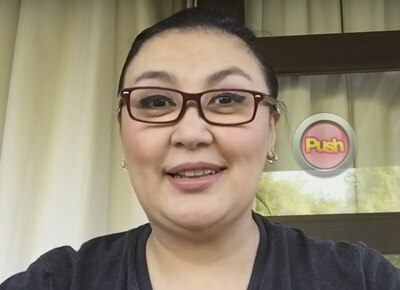 Having recently opened her own YouTube channel, ‘Megastar’ Sharon Cuneta shared a series of videos documenting the 7th birthday celebration of her son, Miguel last October 29 at their home in Muntinlupa. In the first video, Sharon recalled her experiences preparing for the birthday parties of her children, KC Concepcion, Frankie, Miel and now, Miguel. She also shared something about her birthday boy – which was how Miguel takes care of his cacti plants. In the second video, Sharon showed Miguel and his guests enjoying in the giant inflatable they got for his party. Lastly, party games were featured in the third and last video. The ‘Megastar’ also greeted her son on her Facebook last October 27. Likewise, Sharon’s husband, Senator Francis ‘Kiko’ Pangilinan also greeted their son and reposted on his Facebook the birthday video.